As a craft beer fan I had to make sure I could walk from our hotel in New York City to a bar with a good selection of craft beer. I thought this wouldn’t be hard to find but then it turned out that a number of the bars were boring Irish pubs without any IPA but Goose Island (a New York brewery that was purchased by one of the big beer companies recently). Once I found The Stag’s Head and looked at the beer list online I knew I had to stay at the nearest hotel. Thankfully, they had a solid tap list and a good selection of local beers in bottles to choose from. The first night I got to try Greenpoint Gobsmacked IPA. It had a nice mellow citrus flavor with a light amount of bitterness. It didn’t particularly stand out but it was enough to satisfy me for a few hours. The second night I got to try Peak Hop Blanc from a Maine brewery. I had tried their IPA down here in San Diego thanks to Trader Joe’s so I was glad to try some of their other options. They also had a simcoe pale ale but it wasn’t hoppy enough for me at the moment. The Hop Blanc was a nice Belgian style IPA with a strong Belgian yeast flavor at the front and some pine/citrus flavors at the back. I sipped this one for quite a while because before ordering my next beer. 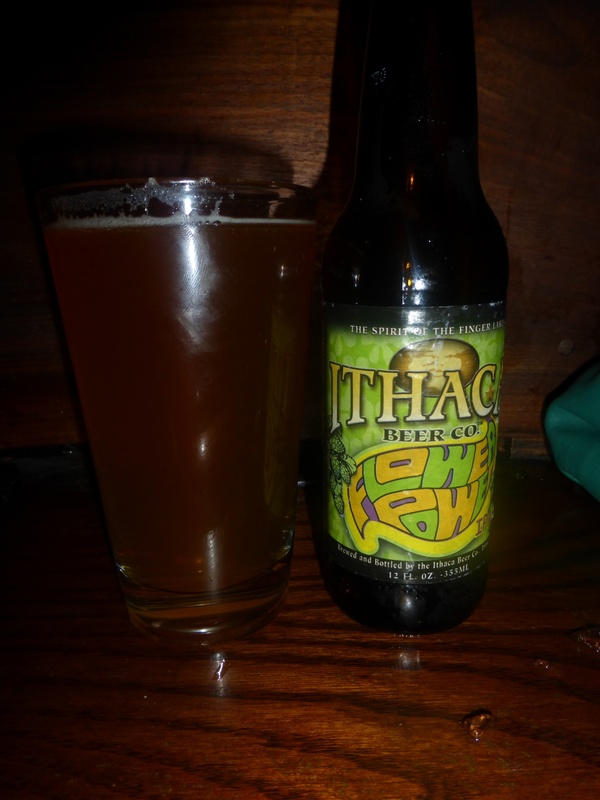 After the Hop Blanc I ordered the Ithaca Flower Power based on a suggestion from the bartender and the name, which suggested a floral flavor. The beer was served in a 12oz bottle and I poured it into a pint glass. It had some nice floral aromas and some malts to balance out the flavor. I was quite satisfied by the strong floral flavors and overall very impressed. The Stag’s Head is a fairly loud and rowdy bar with a sports bar type atmosphere. The bartenders are knowledgeable about their beers and know how to party as well. I enjoyed my time there on Sunday night because there were a number of rowdy drunk patrons putting on a good show. 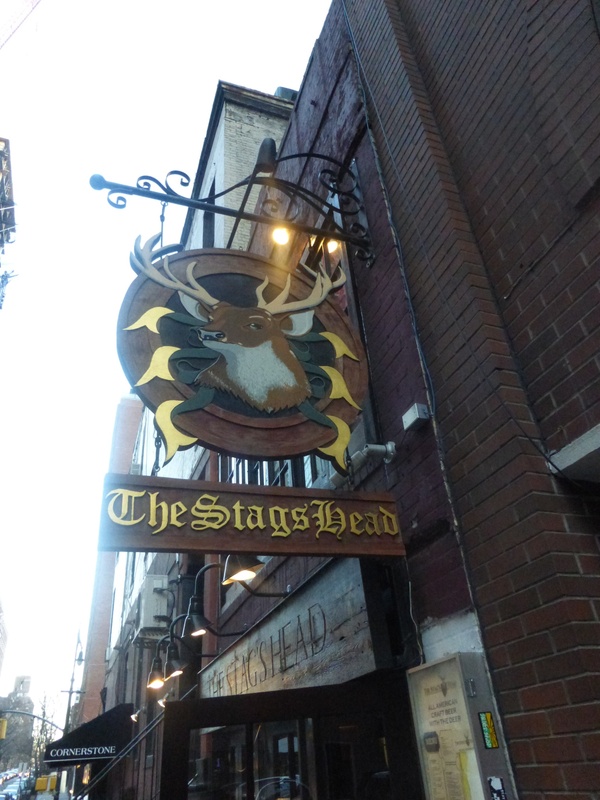 If you aren’t going to be able to get outside the city to explore what New York has to offer, you will get a good taste of the area with The Stag’s Head.